Where is the world is Steve Fossett? 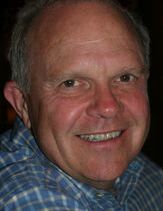 Missing since September 3rd in a single-engine airplane Steve Fossett went down somewhere in Nevada. Once can only assume he crashed as an intact aircraft would have probably been spotted by now unless he went into water. From the many crashes I’ve covered for newspapers I predict it will have been a crash on land. Water crashes/landings usually leave floating debris, especially if it’s a lake there’s no place for the debris to drift to. The story of Fossett’s disappearance has gone to the back-burner of the news, more important stuff like cheating at football, the new iPods and Britney Spear’s train-wreck MTV performance have eclipsed it. To their credit Amazon.com has launched their Mechanical Turk with Google Earth imagery so folks online can help participate in the search. Click here if you want to give it a try. I tried it, went through about 20 images and because they have coordinates to link to Google Earth you can double-check stuff. But I wonder if the Google Earth images (not the Mechanical Turk images) are pre or post Fossett’s disappearance because I found what looks like an impact site. Or could be a camp site or a tree as it’s hard to tell. 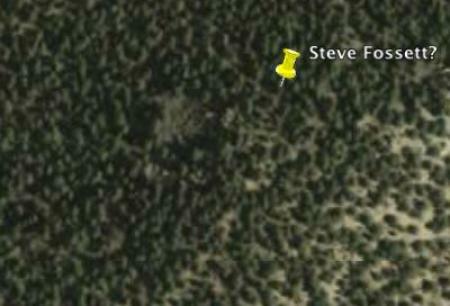 Look to the left of the Google Earth marker I placed. There are no similar disturbances around the area and it’s on the wall of a ravine leading to a dry lake bed (something Fossett was looking for). In any case check out the Mechanical Turk and and do a couple of searches. I sent my report in via the comment box reporting a finding at the Amazon.com mechanical turk page. It’ll be interested to see how he is finally found. Most likely by hikers sometime or by someone looking for a future plane crash.